On Thursday, July 30, we’ll select one winner from eligible entries and notify them shortly thereafter via direct message. U.S. entrants only. 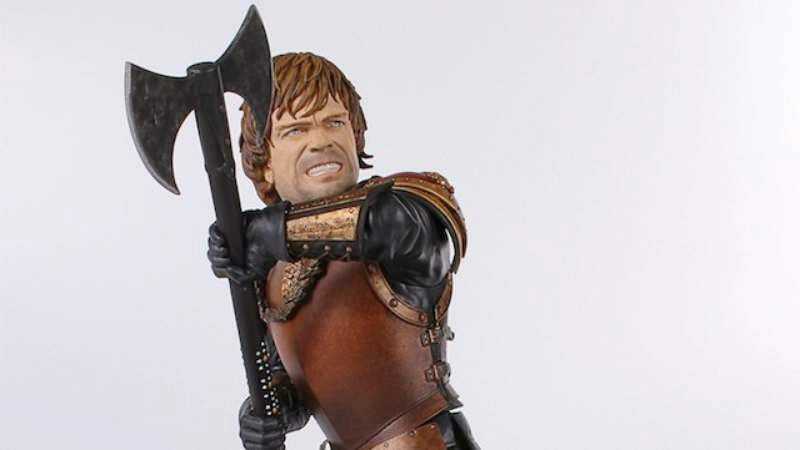 The “Tyrion In Battle” statue is 10 inches tall, 10.5 inches wide, and has an estimated retail value of $199.99. Below you can watch a “making of” video to see all the work that went into the highly detailed collector’s item.